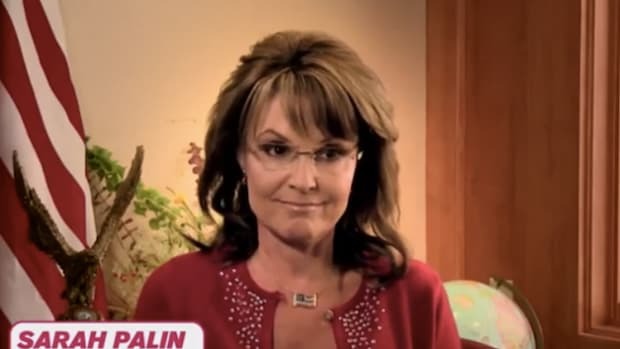 While Marine Le Pen has some interesting positions that appear to be far more in tune with liberalism, it is her fear and hatred for muslims that appears to have caught Palin's attention, and Palin's ensuing love fest another reminder of just how stupid she is. 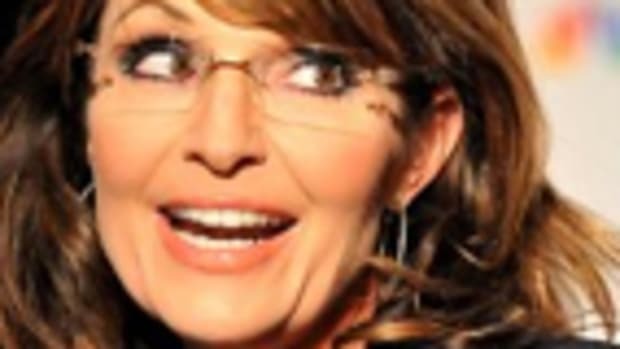 In what appears to be a desperate attempt to come across as worldly and educated, Sarah Palin has written a paean to the leader of the French fascist party, Marine Le Pen on right wing hate site Breitbart.com. 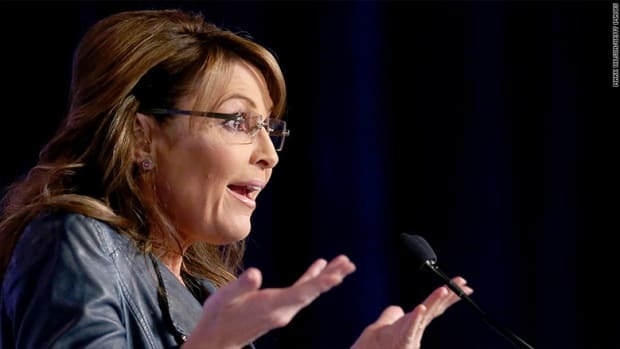 In a hysterical rant against Sharia law and Islamic plots to destroy France, Palin claims Le Pen is "unashamed to champion France’s Judeo-Christian identity and heritage as something worth preserving and fighting for." I have a political crush, but one I couldn’t vote for today – because she ran for office in France. Marion Maréchal-Le Pen is the new deserved “It Girl” of French politics and a clear voice of courage and common sense in a country and continent in need of both. In 2012, she earned the distinction of being France’s youngest elected Member of Parliament. Last week she handily won the first round of a race for the leadership of a large important region in southeastern France that’s home to the beautiful port city of Marseilles. 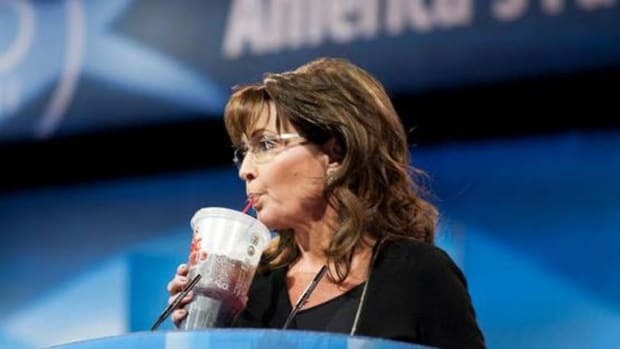 Unfortunately, she lost the run-off election today because the two establishment Parties joined forces to defeat her. We see the same thing happening here in America. Call it the rise of the populists. 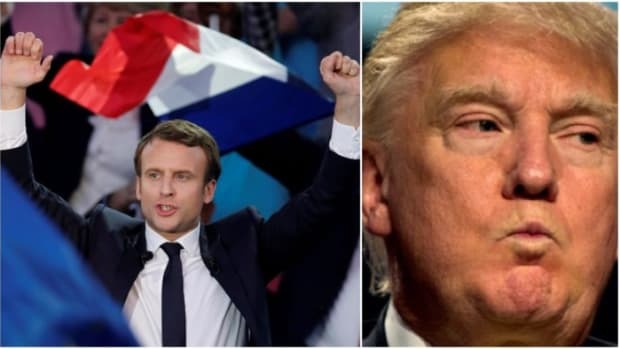 Pundits are already seeing the similarities between Marion and Marine Le Pen, Donald Trump, and Sen. Ted Cruz (R-TX) all are non-establishment candidates taking on corrupt, entrenched, and detached political elites who are more interested in preserving their own power than in defending their countries. 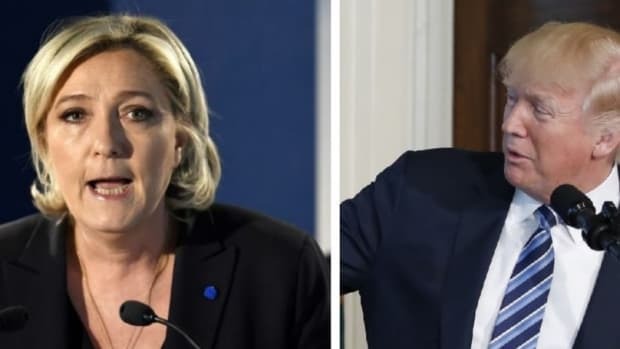 While it is true that Le Pen&apos;s views on muslims mirror those of Palin&apos;s, Le Pen has virtually nothing in common with her, or Donald Trump and Ted Cruz, on anything else. Le Pen is anti-free market, pro-protectionism, against American hegemony, largely isolationist, hugely pro Russian, pro environment, pro labor and pro taxing corporations (more on her political stances here). 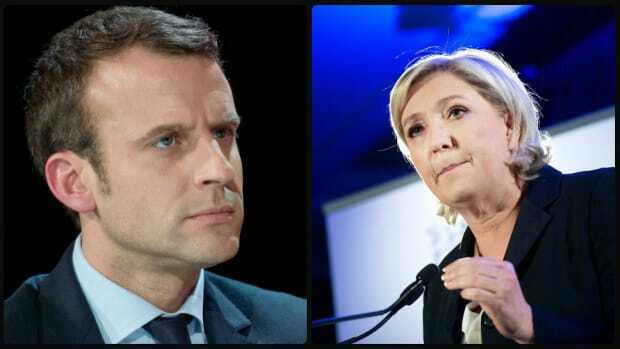 Marine Le Pen is essentially a more media friendly, less hateful version of her father and founder of the party, Jean Marie Le Pen -- an anti-semitic fascist who set the tone for the party and ensured it continues to attract the worst elements of French society. 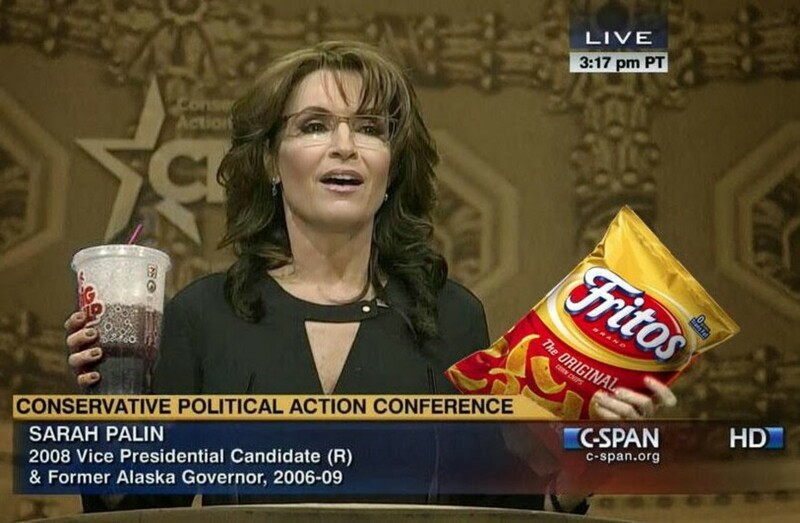 While Marine Le Pen has some interesting positions that appear to be far more in tune with liberalism, it is her fear and hatred for muslims that appears to have caught Palin&apos;s attention, and Palin&apos;s ensuing love fest another reminder of just how truly stupid she is.